Remember, how last year we played a little game to follow Dr Juncker’s sensitive operations on patient Europe. The patient barely made through all the critical surgery, and it feels the last twelve months have been a painful and endless convalescence, with life threatening relapses. As President Juncker will take the floor in front of Members of the European Parliament to deliver his second speech on the State Of the European Union (the now famous “SOTEU”), one can wonder how different this speech will sound compared to last year’s! Has the EU done enough to solve the migration crisis? Has the Investment Plan sorted out youth unemployment and the job crisis? (If it ever happens), will Brexit be the end of the European project? Tomorrow, President Juncker will need to demonstrate he and his team have the right building blocks in place to guarantee the stability and longevity of the EU or the dramatic perspective that this is the “last chance” Commission could turn out true. 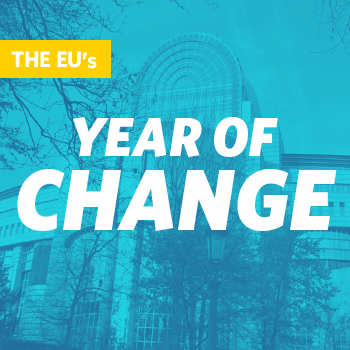 Stay tune on this blog and on Twitter (@fleishmanEU) to hear what our sectoral expert colleagues have to say on the 2016 edition of the #SOTEU.